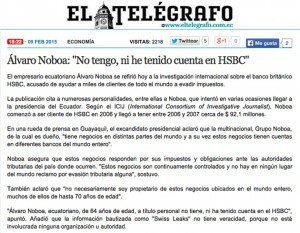 Yesterday, Monday, February 9, the Ecuadorian newspaper The Telégrafo, published on its website the statements of businessman Alvaro Noboa, who gave a press conference in reference to the news about the HSBC bank. 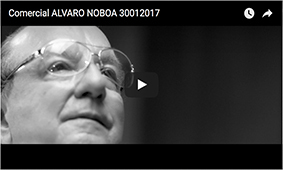 “I have not, nor have had any account at HSBC”, headlined the newspaper in its note, about what were the clear statements of Alvaro Noboa. 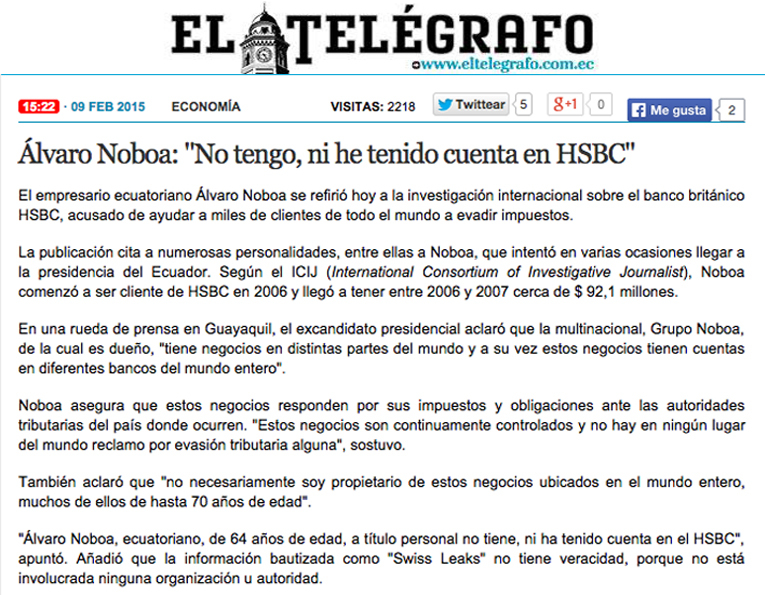 Moreover, the media refers the assertions of Mr. Noboa, as to the veracity of Swiss Leaks, because it is an independent investigation,ie, it is not made by any organization or authority.